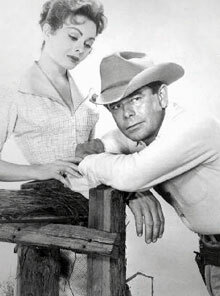 Clients Glenn Ford and Rita Hayward in the previous photo from the movie GILDA. Mr. Ford was a quietly elegant man who appreciated top help. His emphasis was that the staff respect and maintain confidentiality and he often thanked Dora for providing this. Having other agencies breach this as he had previously experienced, was a concern foremost on his mind.